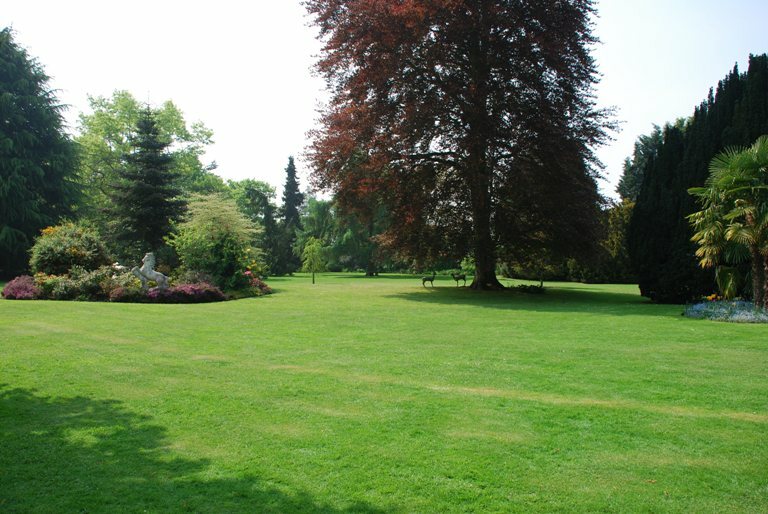 On Sunday I went to visit Chestnut Lodge in Cobham, Surrey, which was open under the National Garden Scheme (NGS). The description in the Yellow Book sounded quite intriguing…a 5-acre garden surrounding a late Georgian house with formal areas near the house, specimen trees, wisteria and rare exotic plants as well as a naturalised pond and an aviary walk with a fine collection of tropical birds. The main points of interest were the animals and birds, from meerkats to tropical birds, it was more like visiting a menagerie really! 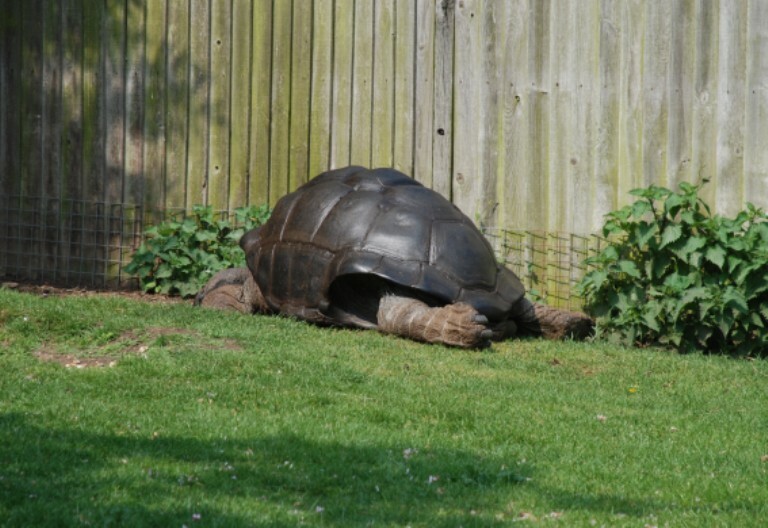 The star of the animal show for me were the giant tortoises – doesn’t he look comfy sunning himself…. 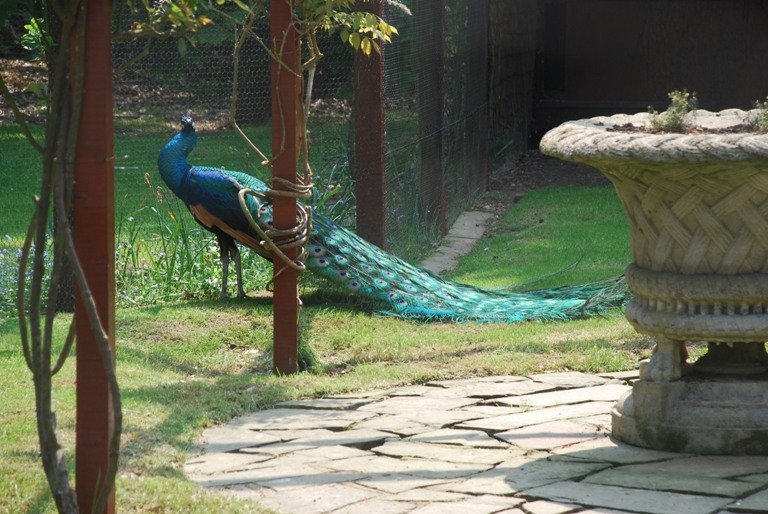 It didn’t come close to Vann Garden for me, but if you have a special interest in rare birds you’ll love it at Chestnut Lodge – certainly not something you’d expect to see in someone’s back garden that’s for sure. Unfortunately, they don’t allow children under 15 in the garden – a real shame I think! Unfortunately the owner of this wonderful collection, Raymond Sawyer has recently died aged 87. 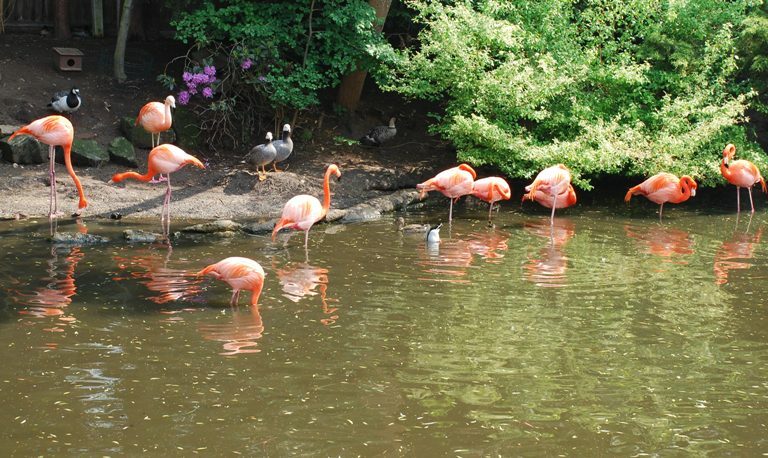 He was a remarkable man who had many “first breedings” of tropical birds to his credit. I hope the wonderful giant Tortoise and all the other birds and animals will be well taken care of. That’s very sad to hear – as you say, let’s hope they are taken care of going forward. Thanks for letting me know Paula!